Does your home feel incomplete without brick pavers in your outdoor areas? Orlando outdoor living is such a significant part of the Central Florida experience, and you’ll be better able to relax and entertain when you have the right outdoor spaces. Seat walls from paving stones. Retaining walls for both decoration and erosion protection. Paved steps and stairs on a sloped property. Beautiful walkways through your garden and around your home. Fire pits, and anything else that includes landscaping and high-quality paving work. Have you ever stepped into your yard and found that it’s just not quite what you envisioned when you purchased your home? Too much yard space that is lacking in design can look plain and boring, and nobody will get excited about outdoor entertainment if the right features aren’t in place. At the very least, your yard deserves a quality paved pathway between your home and features like your patio, pool, driveway, or even decorations like fountains or statues. 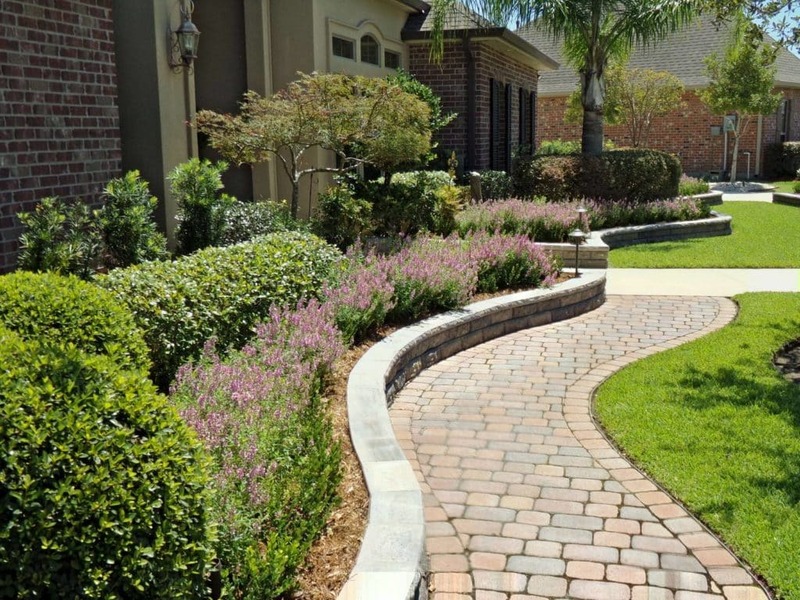 Orlando brick paver installers can design the perfect pathway to meet your needs and the size of your yard. Your new pathway will do more than just improve the aesthetic of your home; you’ll gain practical benefits too. No more stepping along a wet yard during the rain, which means no more damage to your grass which could take weeks to recover. A paving job can be completed in a relatively short amount of time, with little or no disturbance to your normal schedule. When you choose the trusted team at Ground Source, you’ll be sure of getting the highest quality work from a fully licensed and bonded local company. Your driveway is another area where quality paving will make your home stand out on your street. A poured concrete driveway can be functional, but nobody would ever describe one as beautiful. With a paved driveway, you can drastically increase the curbside appeal of your home, and this type of driveway could even add value to your home if you ever decide to sell in the future. Paving allows for much more creativity and freedom when compared to concrete, especially when it comes to colors and designs. You can choose paving stones arranged in elaborate patterns, or you could choose something more simple and understated that matches the color and theme of your home. With trusted Orlando brick paver installers, you can have a high quality paved driveway from professional designers who perform some of the best work in Central Florida. You owe it to yourself and your home to have an attractive, long-lasting, and high-quality driveway. A sloped property can come with some advantages, and many prefer the aesthetic of a property where the grounds aren’t completely flat. Problems can arise, however, especially when it comes to rain and erosion. Sloping properties can lead to flooding, heavily eroded soil, and the collection of debris at the bottom of the property. You want to keep your home presentable, so you’ll love the benefits that you can get from a team of Orlando retaining wall specialists. A retaining wall protects your property from erosion, flooding, and the associated cleanup that comes after these problems. Just as importantly, a retaining wall can provide large flat areas which can then be landscaped and designed for Orlando outdoor living. 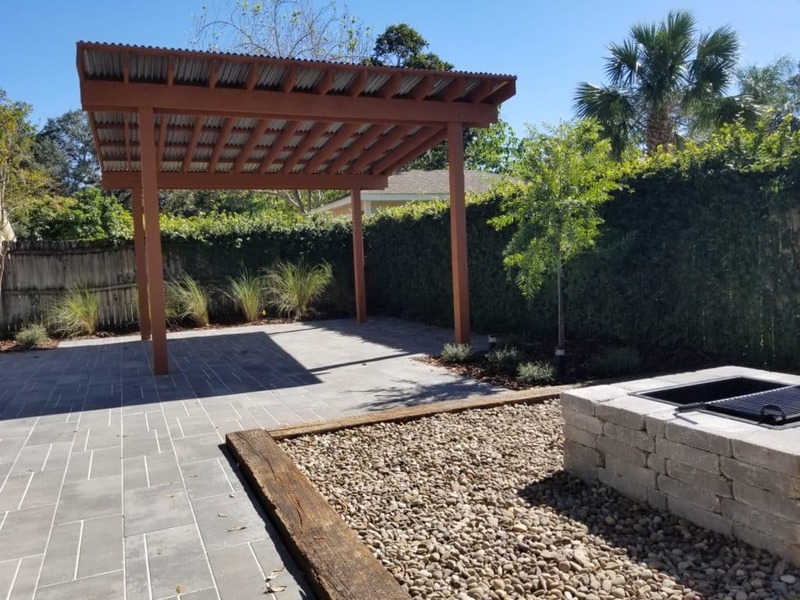 If you’ve always wanted a patio but knew it just wouldn’t work with the gradient on your property, then Orlando retaining wall installation is going to give you the perfect space for your outdoor entertainment area. Retaining walls can also be used for swimming pool installation, or even for creating resort-style lawn terraces that can be used for flower beds and other features. The only real limitation is your creativity and the team that you work with, and you’ll find that the Orlando retaining wall specialists at Ground Source can turn even the smallest idea into an impressive completed project that you can be proud of. Paving can be used in so many ways to improve your property. Large patios can be used for entertaining, paving stones around pools are essential, and trees and flowerbeds can look better when sectioned off with high quality paving stones. Orlando outdoor living simply gets better when you have quality paving at home, and there’s a team standing by to give you the paved paths, retaining walls, driveway, and features that you’ve always wanted. For the highest quality work and the most competitive Orlando brick pavers costs, it’s time to talk to the team at Ground Source. Our dedicated professionals will work with you closely to fully understand your goals and carry out the project to your exact specifications. Even if you only have a basic idea in mind, we can help bring that idea to reality, with results that you will love. Florida is one of the best states in the country for the outdoor living, and you can turn your outdoors into comfortable usable space with Orlando retaining walls, patio paving, paved pathways, or a brand new paved driveway. Entertain outdoors with friends and family. Create impressive gardens, water features, and other lawn features that beautify your home. Call Ground Source today for a locally renowned team of Orlando retaining wall specialists, pavers, and landscape designers.